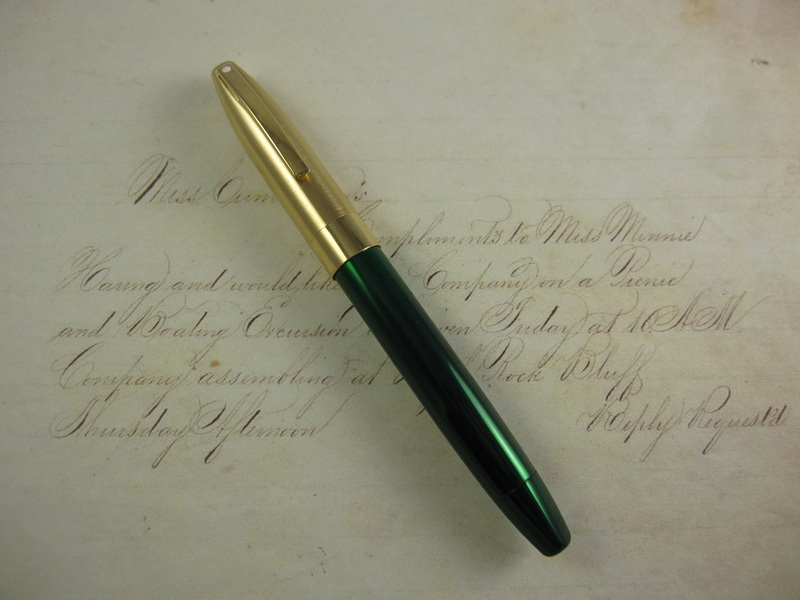 COMMENTS: Sheaffer Legacy in Green Lacquer and brushed gold cap. Fitted with an 18ct. Sheaffer inlaid nib. Measures 5 1/2" long (capped). 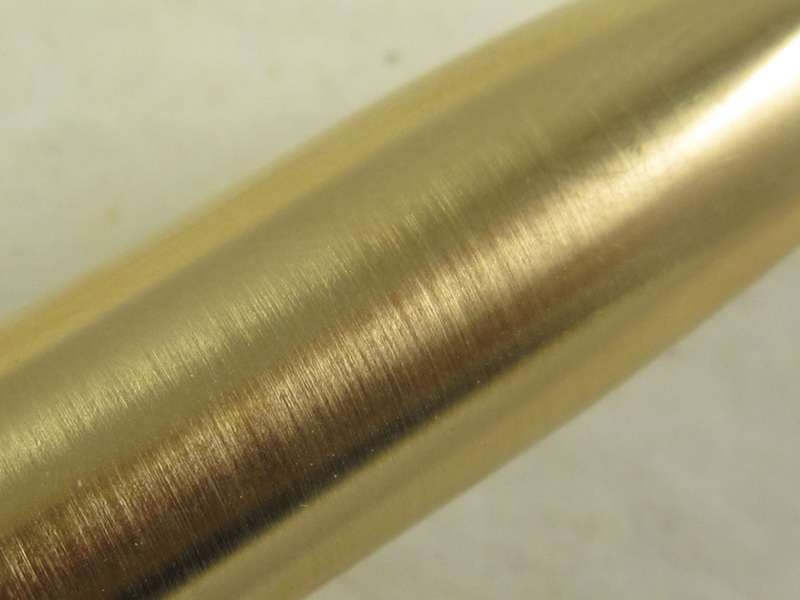 This model was inspired by the famous Sheaffer PFM model. Touchdown filling mechanism. 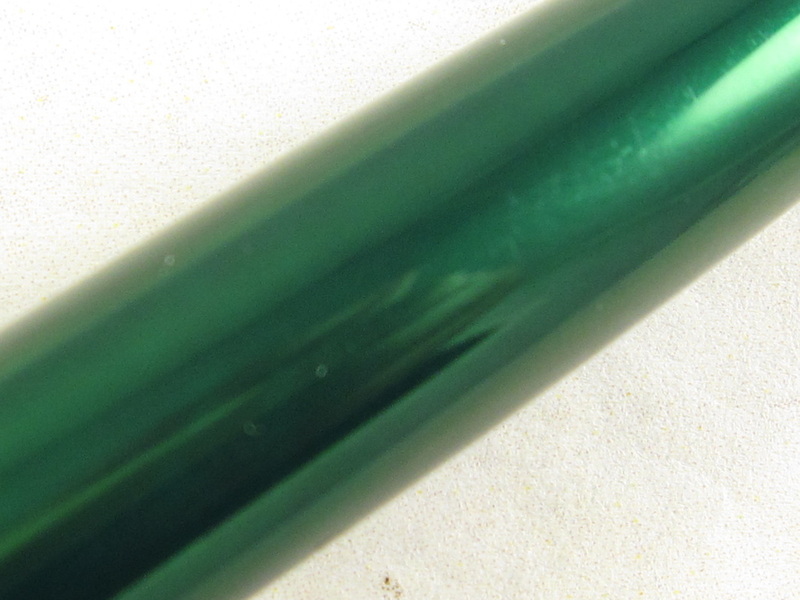 This pen can also use Sheaffer Skrip ink cartridges or a Sheaffer standard "squeeze" converter. COMMENTS: New Old Stock (NOS) Sheaffer Lifetime 1250 pen in dark blue plastic and gold trim. Fountain pen and box. Imperial style pen, fitted with a monotone 14k Sheaffer inlaid nib that writes an ultra fine line. Smooth nib. Cartridge converter filling mechanism. Pen has factory sticker and factory imprint on the barrel. This pen sold for $12.50 back in the early 1960s. Original Sheaffer converter included. Pen box is in near mint condition as well. NOS, new, never used. Made in USA circa 1962. Copyright notice: All photographs, written descriptions, and flex nib specification information appearing in this website are the property of Mauricio Aguilar. They are protected by U.S. copyright laws, and are not to be downloaded or reproduced in any way without the written permission of Mauricio Aguilar. Buying an item does not entitle the buyer to use the photographs, the written description and the flex nib specification information..